On a photography night-walk through the city I encountered this wonderfully lit demolition site, with the gates open to allow a truck full of debris to exit. Went too far when processing for noise, but decided I rather liked the surreal effect; it was a pretty surreal scene. 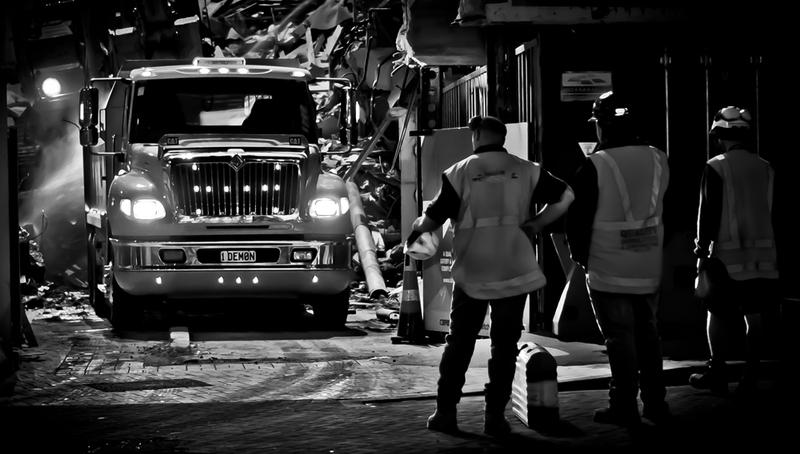 This entry was posted in photography, Photoshop and tagged black and white, demolition, demon, night, photography, truck. Bookmark the permalink.